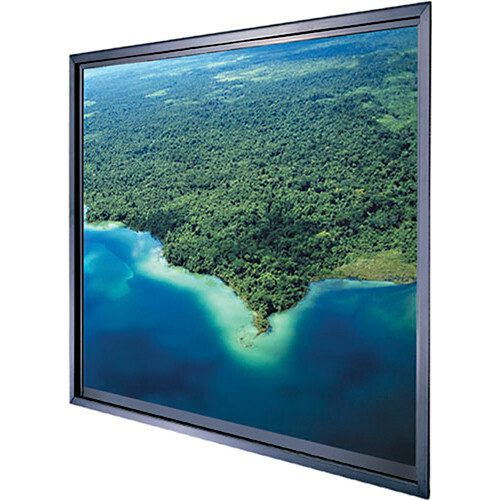 The 52 x 92 x 0.25" Polacoat Da-Glas In-Wall HDTV Format Rear Projection Diffusion Screen with Base Frame from Da-Lite is made with a clear float glass substrate that is flat, rigid and provides maximum sound isolation. It must be noted that the Da-Glas substrate requires an optional diffusion coating to function properly and should be mounted with the coated surface facing towards the audience. It is strongly recommended the customer contact Da-Lite for precise purchase information, selection of the appropriate diffusion coating and frame choice. Box Dimensions (LxWxH) 103.0 x 67.0 x 30.0"